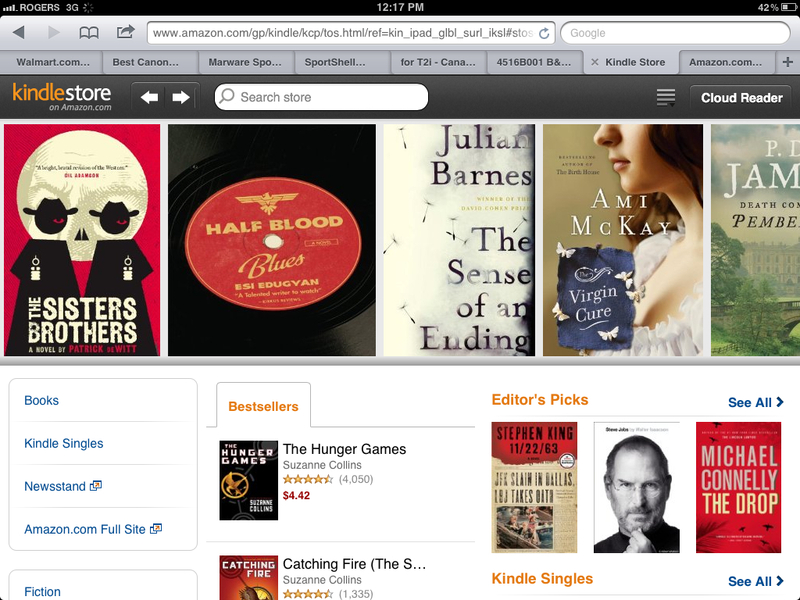 Amazon (s amzn) on Tuesday announced a new touch-optimized version of its Kindle online store aimed at the iPad(s aapl). The touch-friendly shopping experience used to be available only through Amazon’s Cloud Reader web-based Kindle reading client, but now it exists as a standalone web app, likely in an effort to accommodate native app users who don’t want to migrate to the HTML5 client. If you checked out my hands-on of the Kindle Cloud Reader back in August, you’ll already have a good idea of how the touch-optimized store works: You can browse recommendations and categories via a smooth scrolling highlights section with full cover pics, or check out best-seller lists. Big, finger-friendly buttons abound, making it much easier to browse and buy. In general, it’s far superior to using Amazon’s standard site. Now that the store is broken out on its own, you can add it to your home screen for easy access, and also all books now offer the option to read samples and full purchased versions directly from your native Kindle app instantly. You can also still opt to read in the Kindle Cloud Reader web app, if you prefer. I liked my initial experience with the Cloud Reader, but it wasn’t compelling enough to get me to abandon the native Kindle app. Now, the new optimized store site means it’ll be even easier for me to check out new content on my iPad, all while using my reading method of choice. This is a smart move for Amazon, which is clearly still seeing the value in keeping an up-to-date native offering available for iOS device owners, as it proved with its substantial update to the iPad app in December. Considering apps seem to be gaining momentum on mobile devices as compared to the web, that’s not surprising. Kindle reader is amazing and also my sister’s kids love to read stories from that. Whatever the reason these printable coupons or Printapons exist and it is valid to use them, although it can skew the marketing research for which they were intended. What about Amazon Video — Have they made any indication whether they are going to offer something for iOS users? At the moment it only works on computers, certain TV connected devices, and the Kindle Fire. Is there a link to the store anywhere in this post?